All About Our World-Class Data Centers & Global Networks. 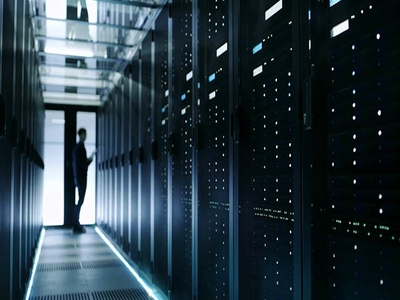 We operate strategically located, highly automated SSAE 16 data center facilities in the United States and Europe, granting customers access to our extensive and powerful private, public and storage network systems. Our facilities feature industry-leading technologies for maintaining optimal operating environmental control, redundant electrical systems, generators backed with enterprise-class UPS technology, and a wide range of advanced security measures. All of our data center facilities have an internal network architecture designed to support our clients and their hosted servers through a combination of Dell and Cisco hardware. Our network’s performance speaks for itself. We’ve maintained 100% network uptime for three consecutive years. At DKHIL_LLC, we exclusively own all of our web servers. That means each server is high powered, ultra-reliable, expertly tuned by our team of engineers and monitored 24/7/365. This way you can be confident your crucial websites, files and data are securely hosted at all times by us. All our shared servers are located in USA with datacenters in Chicago and Phoenix. We offer dedicated servers in USA and Europe(Amsterdam). Data Center Facility Standard Aspects!